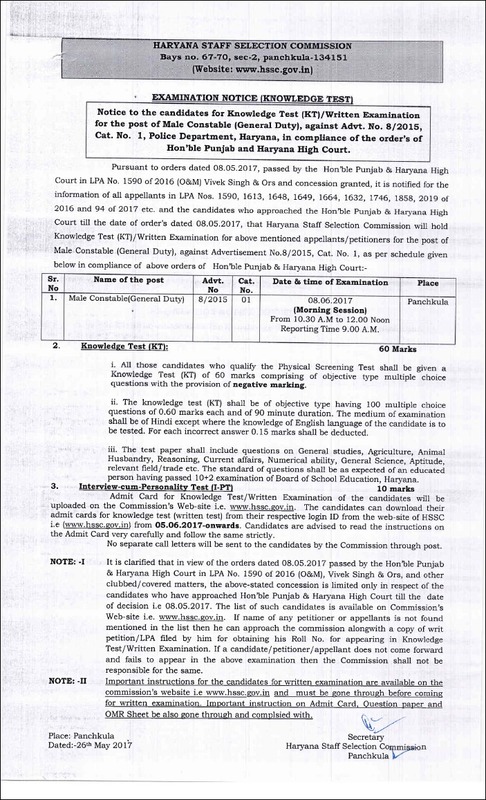 Haryana Staff Selection Commission (HSSC) is going to conduct Knowledge test (written exam) for the posts of Constables in Haryana Police in advt 8/2015 cat. no. 1. The written test is to be held on 08 June 2017. HSSC will fill Male Constable GD in Haryana Police. The Admit card of Haryana Constable Knowledge test is to be released for Constable GD posts on 05 June 2017. Here you can know details and get Haryana Police Constable Exam Admit card from below. The call letter for the above mentioned posts will be available on hssc.gov.in or www.hryssc.in. 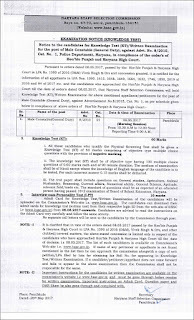 Candidates must bring legibly printed admit card with recent colored photo pasted on it duly attested by Gazetted officer. Also they should bring one identity proof with photo like driving license, PAN Card, Voter id, Aadhar card, passport at the time of physical screening test failing which they will not be allowed to appear. Haryana Police will conduct the knowledge test for Male Constable (GD) posts on 08 June 2017. The admit card of this test can be downloaded from 05 June 2017. Those candidates who had qualified Physical test will have to appear for it. It will be an objective type examination having 100 questions carrying 60 marks. Each question carries 0.60 marks and 0.15 is to be deducted as negative if wrong answer given. Time given to solve paper is 90 minutes. For appearing in this test, HSSC will release Haryana Police Constable admit card online. The selection for these posts is to be done on the basis of following tests.